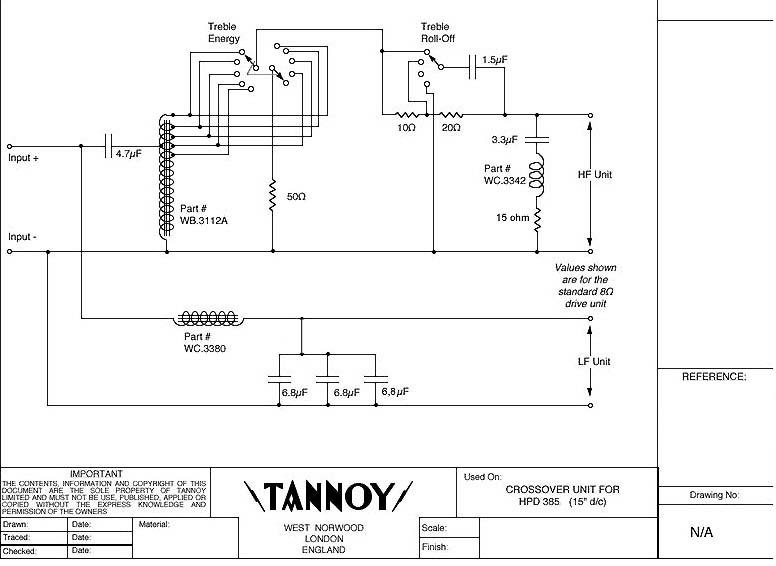 Rob has sent me the below schematic diagram: This xover is for the HPD385A version second edition. Jean has send me the below picture and information. 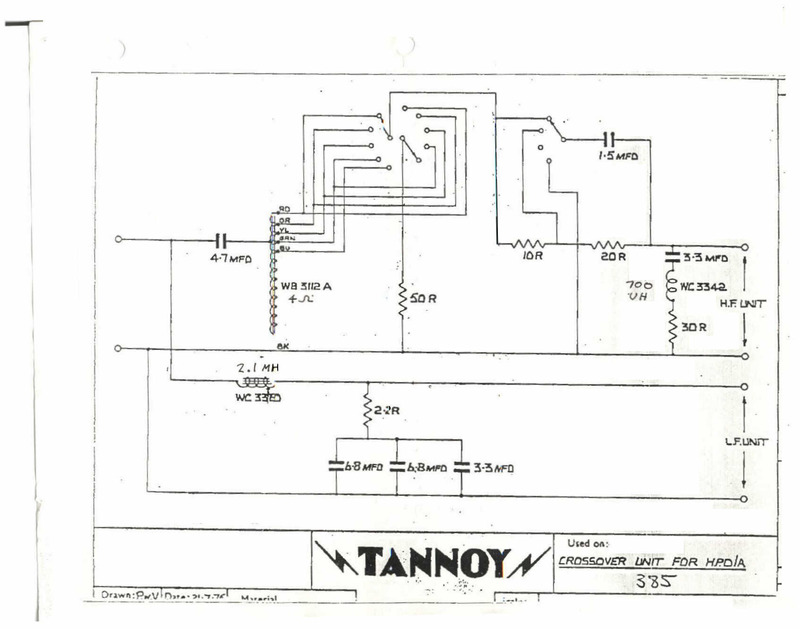 This is the x-over of the Tannoy HPD385 first version, not the A type. It is different from the 385A. © PE1MMK Hans Hilberink & Jean Croux & Rob Brown, last update 04-02-2004.